North Vancouver. North Vancouver, BC V7J, Canada. 16Km ( 10mi ) from Downtown Vancouver. Solve your questions about Lynn Canyon Suspension Bridge asking the members of the Eluleka Community. 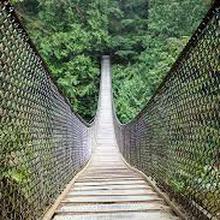 Share your reviews on Lynn Canyon Suspension Bridge with the Eluleka Community members.